I tried the search function but found nothing; probably me. 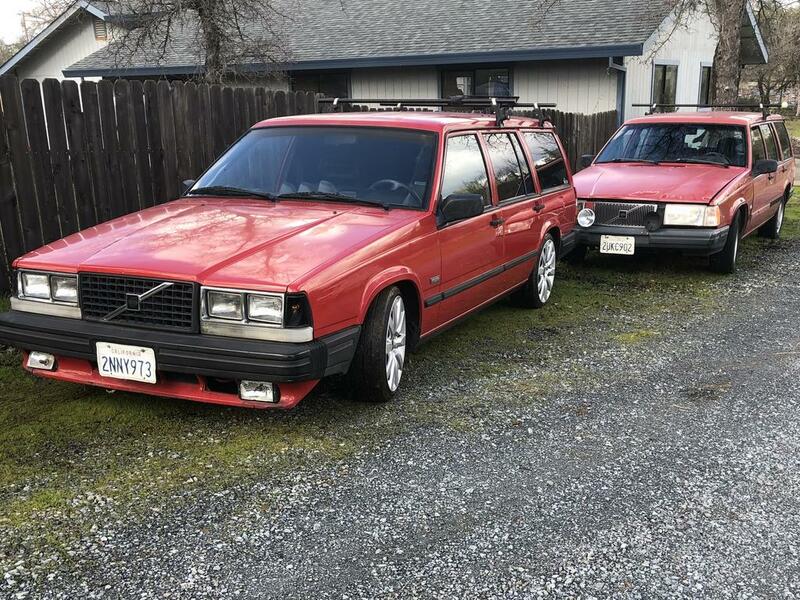 I have a 1991 745t...16v, t5, chipped ezk and ecm...that I’d like to swap into an 89 745t. I assume that the sensors and computers different, but what else will I need to pull from the 91? Are the harnesses same or different? Pull everything that touches the motor from the 91, harness, computers, flywheel, the works, and plop it all into the 89, assuming the 91 runs it is a pretty straight forward swap. DM me, I am local and willing to lend a hand, But am going to be booked solid for the next couple of weeks with work. I have a shop, but it's been years since I've worked on LH systems. The donor car is my son's first car...he did all the work(16v, T5 swap, etc)...and he's overseas at the moment. I know the Volvo Wiring Diagrams site is kaput..... but can you find the 89 harness schematic somewhere? With luck, you might not have to customize too much to get power to the LH2.4 harness. Having gutted a 94 9 series once, you will likely need to pull it all the way to the ECUs to get proper LH2.4 function. Option 1 - build a MS2 harness, use Tuner Studio and with some help on base tuning, you could have less hours (and more fun/learning/tuning gains). Data logs, lots of +++ features of Megasquirt that LH2.4 can only dream about. I’m gonna keep this car some what mellow, but if I were to go stand alone, I’ll use a Link. When I converted my 89 740 to LH 2.4 I used a 240 lh 2.4 harness. It is basically a stand alone harness. No ripping the dash apart to change everything.. I'm about to go down this road with using a 2.4 harness from a 240 in my 88 740 that I'm using a PnP micro set up on. What advice can you give me about removing the stock 2.2 740 harness? The 740 engine wiring harness has the lighting circuit wires built into it. I would probably just snip the engine wiring and leave the body wiring. Which is sad, since it had much goodness upon it. But, good news. Some kind soul has copied that site. Maybe somebody has scanned them and put 'em on the web somewhere. If all is almost lost, try googling the TP numbers. If all is very lost, PM me and I'll scan the pages you need.